Joanna Cotler Books (HarperCollins), 2008. 153 pages. Hooray! Miss Stretchberry moved up a grade, and Jack is in her class once again! 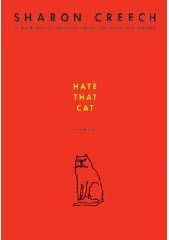 This wonderful follow-up to Love That Dog features Jack doing further explorations with poetry as well as coming to terms with the cat next door. This is a wonderful exploration of what you can do with poetry, but along the way it tells a heart-warming story about Jack, who still misses his dog, Sky. This book doesn't take long to read, but it will inspire even an adult reader to look at poetry in a new way.